A big part of what makes iOS 8 so great is how Apple is finally opening up its mobile operating system to developers, more than ever before. Take Touch ID, for example. 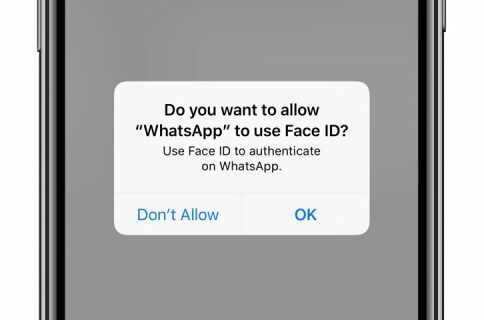 With a little help from the iOS 8 SDK and the new Local Authentication Framework, third-party apps can tap Touch ID to authenticate a user in a safe manner as fingerprint data is protected and never accessed by iOS or apps. As evidenced by the screenshot top of post, published by French site iGen.fr [Google translate], the upcoming 1Password 4.6 for iOS will bring out support for Touch ID authentication on the iPhone 5s. If you don’t own the handset, you can continue using a custom passcode like before. After enabling Touch ID authentication within 1Password’ settings, firing up the app puts the standard Touch ID authentication prompt instead of 1Password’s custom password entry dialog box. 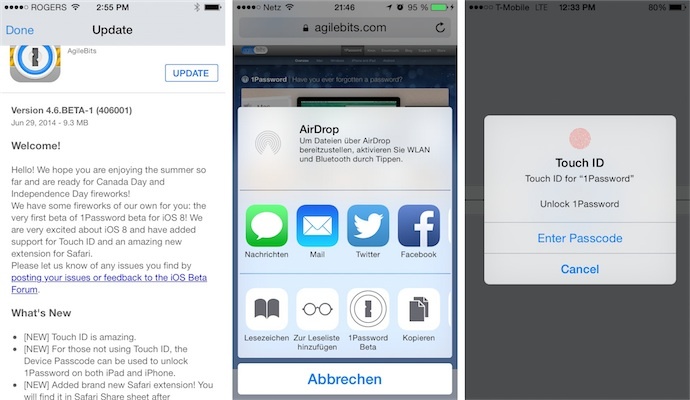 The very first beta of 1Password for iOS 8 also brings a brand new Safari extension that installs itself in the Safari Share sheet allowing you to use 1Password’s secure password generator to fill web passwords in Safari. This is another big change in iOS 8 as apps can now offer their services system-wide by installing custom actions and extensions into the Share sheet. In the case of 1Password’s Safari extension, the video above shows a user choosing 1Password from the Share sheet to use 1Password services to retrieve their username and password on Amazon.